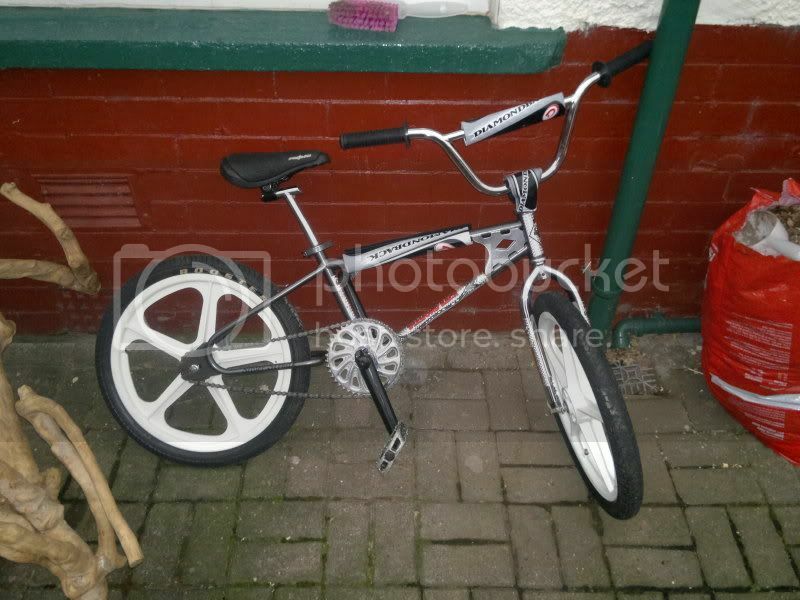 While sorting through my late mothers loft last year i stumbled across a BMX frame and forks. I used it when i was about 13 and it was originally my brothers race bike. The chrome was beyond repair so this was powdered by SBD and new decals sourced through ebay. The forks that were with the bike were from a robinson, the originals failed to turn up, as luck would have it though i found a guy that had bought a robinson frame with DB forks so we swapped. They were off a different model DB but look fine IMO. I reckon thats a viper mate rear dropout looks angled to me or is it the pici?